House progress posts! I feel like I have been doing a lot of them lately, but guess what? That means we are making progress right? Yup! 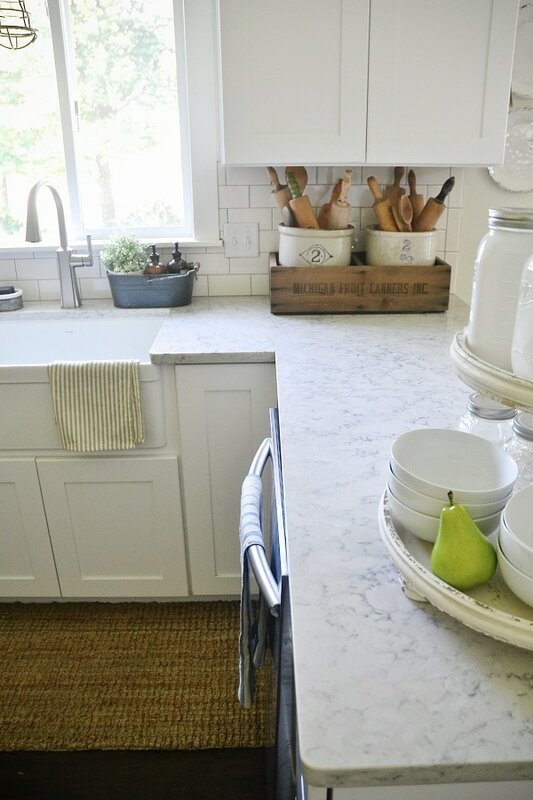 Today it’s all about our kitchen countertops because I get questions about them daily. & I also want to help some of you out who are in the process of picking out countertops. It can be so confusing with all of the options out there, so here we go! & how it’s looking today not done, but with TONS OF PROGRESS. Mind you I didn’t take any “pro photos” of the space & just took some normal photos of it this afternoon.. I wish I was a better blogger & maybe had some fresh cut flowers on the countertops, but alas I am me, & I don’t plan ahead for anything. 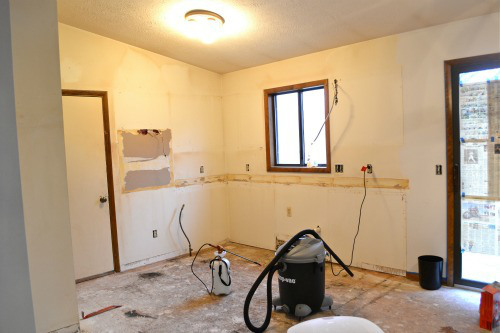 So on to the countertops we chose because that’s what today’s post is all about. We originally wanted carrera marble & no one was going to talk me out of it. So, I started doing some research & discovered that marble required maintenance. & then I remembered how sloppy I am & how I need low maintenance in my life or it will look terrible in a year. Back to the drawing board. My little designer heart was crushed. Then I discovered a little thing called quartz. It’s made from little bits of quartz & resin to create a countertop that looks like stone. 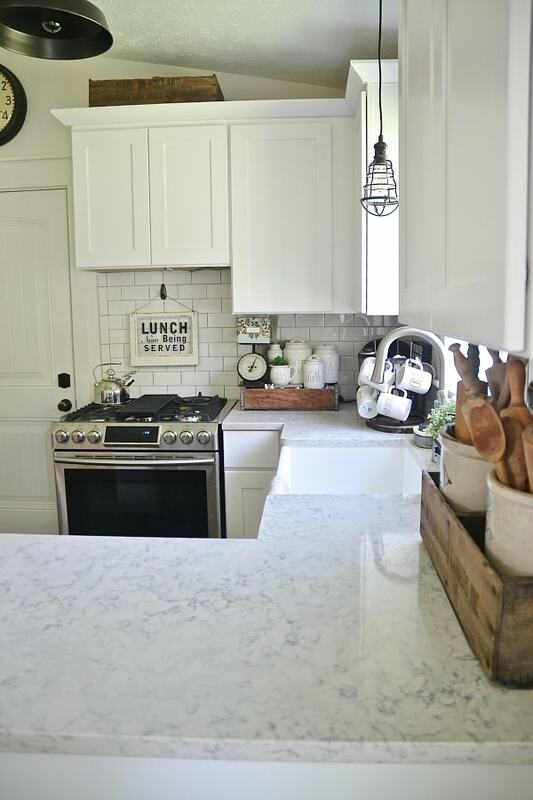 It’s the most durable & low maintenance of the counter tops, but would they have one that looked like marble? So I discovered Silestone USA through my dad who is a genius. & I discovered Helix by Silestone & my little designer heart was happy again. 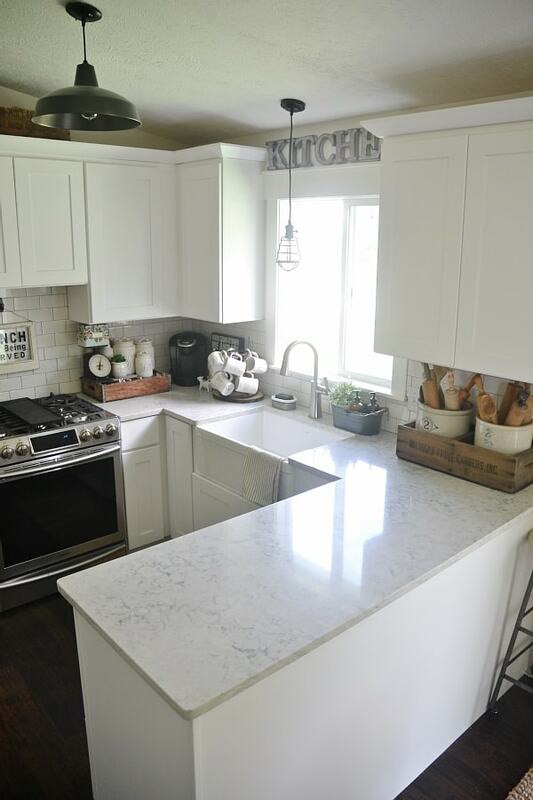 A quartz countertop that was way more durable & less maintenance than marble, that looked like marble. Done. We had them installed in our tiny cottage kitchen & we have lived here with them 8 months & we are SO HAPPY. They are so durable. They actually hide messes which is a pro & a con, but I thought the lighter counter would show everything & it doesn’t. The one thing about quartz is it is a little more pricey than let’s say a laminate, but only depending on what style you get. Quartz actually starts out cheaper than marble & granite which is pretty awesome too. The most durable low maintenance “stone looking” counter could be less than granite or marble. Pretty cool. I should be the spokesperson for quartz because I love it so much. Also, since we had such a small space we were not really concerned with cost as much. For the edges of the counter we chose an eased edge with a rounded corner. – I could go on.. do your research to learn more about these amazing countertops. -Some finishes are pricier than others. Really shop around until you find one that fits your budget. 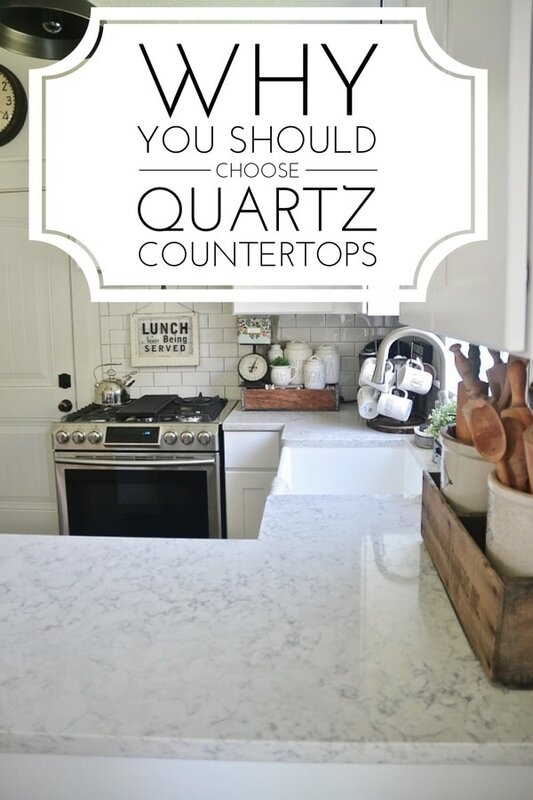 We love our quartz countertops & have no regrets about them at all. 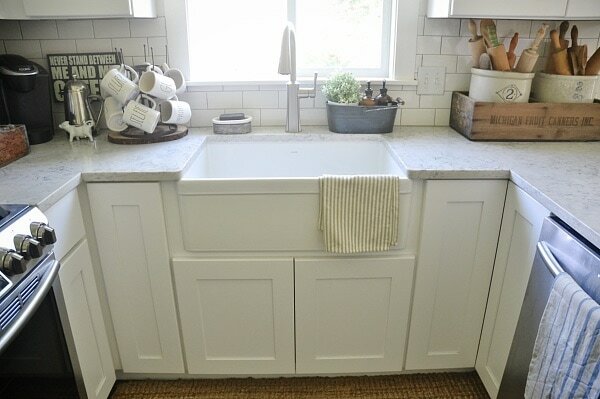 Of course there are other great countertop options & I’m not putting any of them down, this is just our favorite pick. There are a million color & pattern options with quartz as well, I chose the carrera marble look-alike route, but there are so many more. Because it’s not a natural stone there are more color & pattern options which is pretty sweet ifI do say so myself. You literally can’t go wrong with quartz & I have yet to see anything negative written against it. I highly recommend Silestone, we really are impressed with the slabs of quartz we got & would use them again. I wish they were paying me to say that, but alas they may never see how beautiful this quartz looks in our home… I should tweet them. Ok. I’m done. I hope this quartz countertop review was informative & that you maybe learned something new & it was helpful. 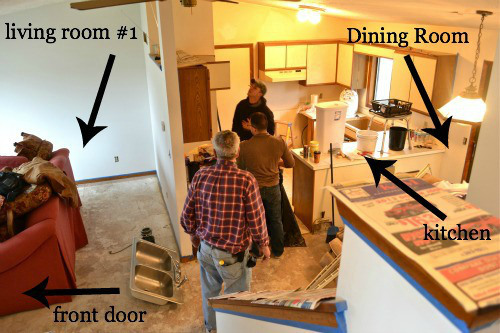 We will be finishing our kitchen soon with some new hardware finally & a few other details which will be fun. Our kitchen may be little, but it sure does have a lot of character. Let me know what you think in the comments below, find me on Facebook, & chat with me on Instagram! Ps. SHOW ME YOUR KITCHEN! 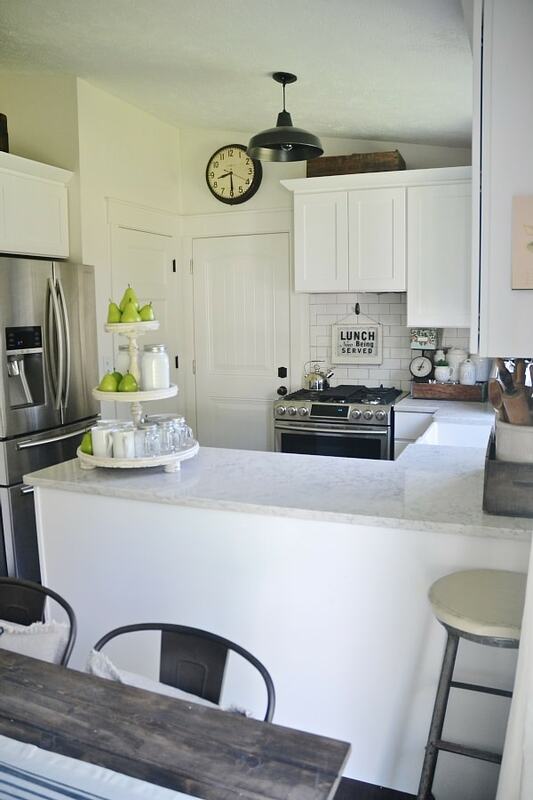 Post a photo of your kitchen on Instagram & tag me @LizMarieGalvan & hashtag #LMBloves in the description & I will be featuring some kitchens this week. Can’t wait to see yours!! Your countertops look beautiful. I would love to know where you purchased them. I found Quartz to be more expensive than most granite and only a bit less pricey than marble. Sounds like you got an amazing deal. I’d love to replace my granite with Quartz. Your kitchen is gorgeous. Looking forward to seeing the hardware on the cabinets. Your kitchen looks immaculate. And I like how much attention you give to details. Those mugs are the cutest. You definitely almost have me convinced to go with quartz! I’ve always been intrigued with your kitchen because it’d laid out almost identically to mine, so seeing yours is all the motivation I need to get mine done. I’m not a big fan of leaving links in the comments (kinda rude! 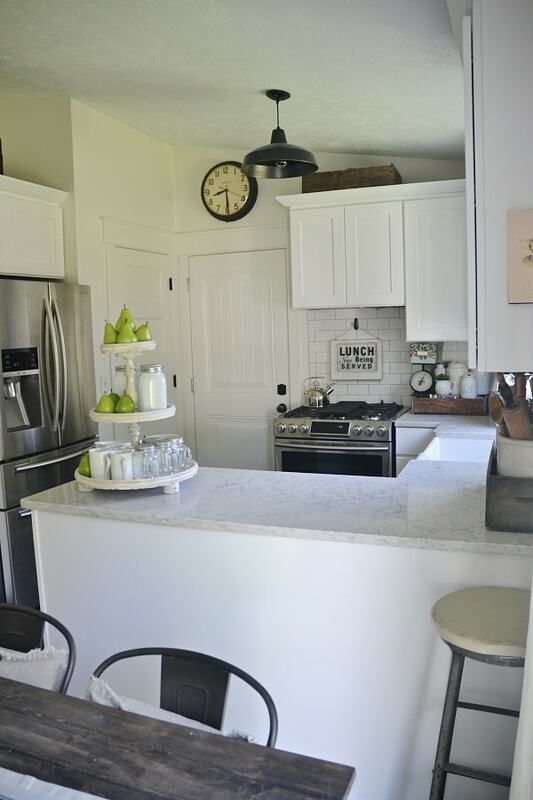 ), but if you’re interested in seeing my kitchen I have a home tour section on my site! One thing I really love about your style is that you use a realistic combo of inexpensive and expensive stuff. You know where to cut corners but also what’s worth investing it! This is beautiful! One day, when we redo our kitchen, I plan on going the Quartz route. This only cemented that in my brain. You sure do make good use of a small kitchen! I’ve been considering quartz for a while, trying to make the right decision for my kitchen. Would you tell us where you purchased your Silestone? LOVE how it looks, LOVE your kitchen! Thanks for a very helpful post! Your kitchen looks lovely! Thank you for sharing those cons and pros. Have a great day! 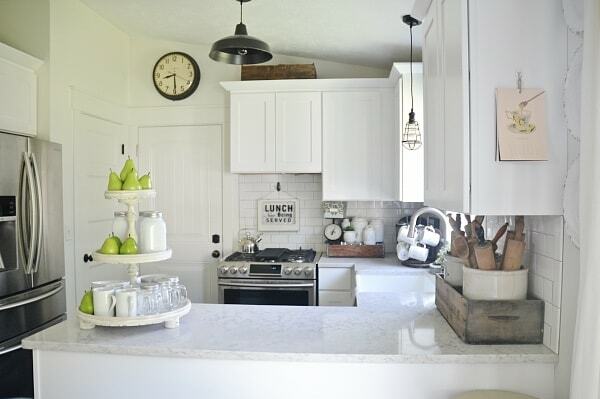 Very cute kitchen! We just remodeled ours and I installed the most gorgeous marble. Even though it’s Carrara it’s very white with soft gray and even a little gold veining. I think you might have been misinformed about marble because it’s honestly not high maintenance. I consider myself an avid cook and have a toddler but have had no issues. My marble is stunning and a show stopper. And it was less than most generic granite. The key is to get it honed and to work with a knowledgeable fabricator who seals it properly. If you can’t find that then Quartz is probably a good option, but you can never truly replicate the beauty of marble. I, too, wanted marble. After doing the research I went with quartz for the same reasons. I chose Cambria Torquay. Same marble look. I. LOVE. IT. Beautiful kitchen! I would love to get your feedback on your quartz countertops. I am looking to get them for my kitchen and would love to hear from you since you have had them for some months now. Any regrets? Recommendations? Thanks so much for pointing me in the right direction on IG for this informative post! We are building a home and need to pick counters in a couple weeks and I am so torn on all the options! I feels quartz are best countertops for kitchen. 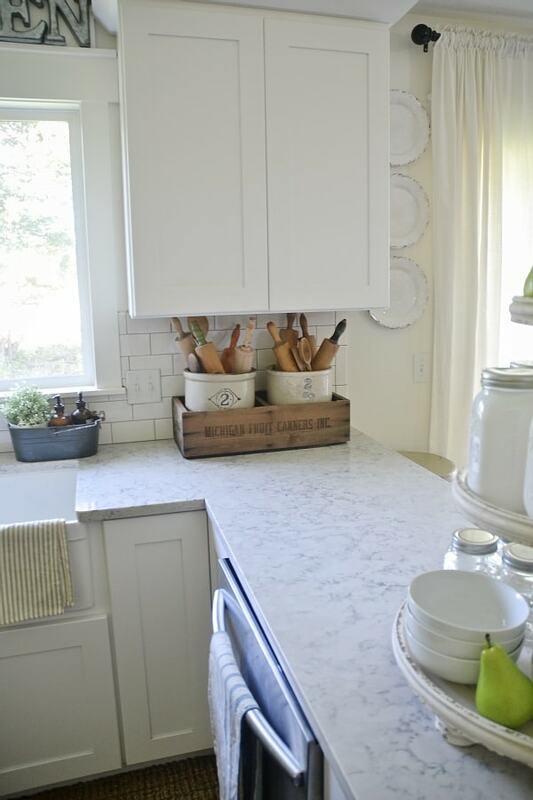 In a word can say, Quartz are the best for kitchen countertops. Kitchen images are really beautiful, perfectly matching to the the space. Love your kitchen! 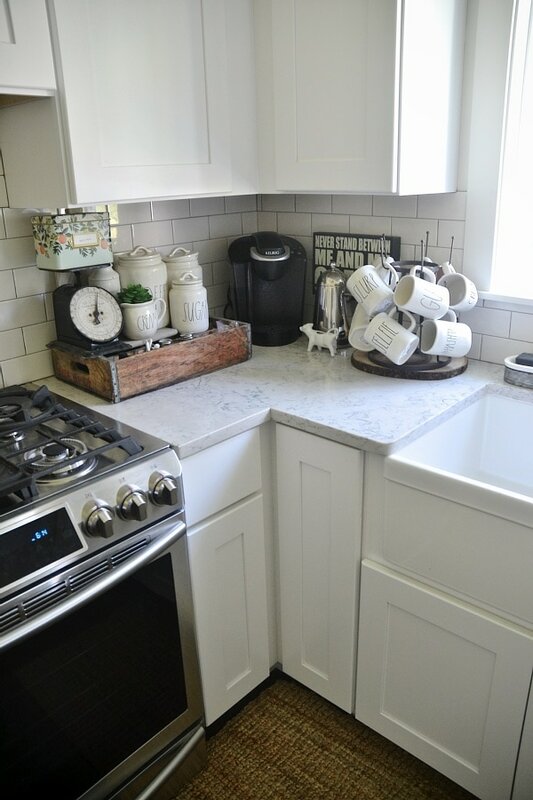 Did you go with 2cm or 3 cm on your countertops? Hi, do you mind sharing what you paid for your countertops? 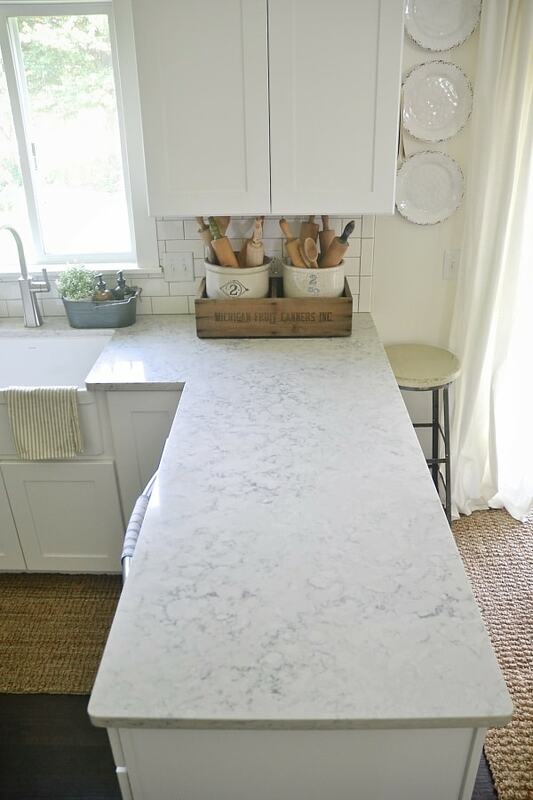 I’m going to be remodeling a kitchen that appears to be very similar in size to yours and would love this countertop! It’s so beautiful. Apple has already indicated that an update is on the cards, although this time around it’s for Plus users only. The update will add functionality to the dual-cameras and allowx clever depth of field effects. I love your kitchen ! Could I ask what is the brand of your stove?